Based on the late Scottish playwright James Barrie and how he took inspiration from a family to pen down the children's classic Peter Pan, Johnny Depp starrer Finding Neverland is a tribute to the power of the narrative and imagination. Before Johnny Depp got tired of performing the same eccentric character in a dozen costumes, he was still the talent we once believed in. 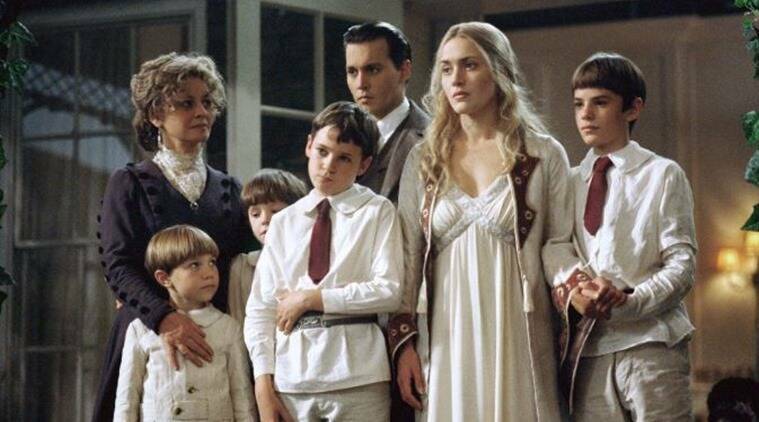 In what might be called one of his quietest performances, Depp in 2004’s Finding Neverland is a sight to behold. The film’s magical quality draws from his reservoir of talent. No wonder then that the movie was nominated for four Academy Awards, including a Best Actor in a Leading Role nod for Depp. Based on the late Scottish playwright James Barrie and how he took inspiration from a family to pen down the children’s classic Peter Pan, Finding Neverland is a tribute to the power of the narrative and imagination. James, who is failing at creating the kind of work that would rejuvenate him, one day chances upon a kindly family of little boys and their mother (played by Kate Winslet) and things decidedly take a turn for the better. But it is James’ connection with the family’s younger one Peter (a brilliant Freddie Highmore) that makes an indelible impact on the writer’s mind and prompts him to write Peter Pan. A fantastical tale of a child who never grows up and a fairy who helps him discover who he is. A child who never grows up, wouldn’t it be wonderful to live life like that? And as author Neil Gaiman says, “Growing up is highly overrated.” Finding Neverland wonderfully explores this subject and probes into it with delicate ends of wands, leaving the viewers mesmerised. Yes, at points it drags a bit, but the mysterious, whimsical air about the movie almost makes up for it. Waltzing bears and dogs, children with unquenchable thirst for questions, children with wings, and that drama that surrounds a fantasy film, it’s all there. Yes, Depp could have worked on his Scottish accent, but even with what he has, the actor makes the entire cinematic experience enriching. James’ acceptance of his own shortcomings as a writer, his equation with the children and his sheer imagination that he just exudes on screen. Everything comes together neatly to form a near-perfect whole. And there is a particular scene towards the end of the film where James and Peter interact and exchange words not as an adult and a child, but just as two individuals sharing their grief, that delicate moment is precious. Watch it to believe it.